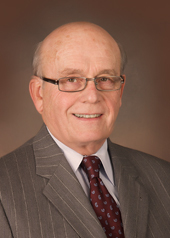 Michael Landrum is a founding member of Landrum Dobbins LLC and its predecessor, Burk & Landrum, P.A. He received his Juris Doctor degree from the University of Missouri School of Law in 1966, following his Bachelor of Arts in Political Science undergraduate degree from Northeast Missouri State University. In addition to private practice, he has held executive positions in labor and employee relations with Fortune 500 companies Target, Lucky Stores and Jewel Companies, as well as the Associated General Contractors of Illinois. He has served as Adjunct Professor of Law and Director of the Center for Conflict Management at William Mitchell College of Law. Co-winner, 2004 CPR Institute for Dispute Resolution national award for "Problem Solving in the Law School Curriculum"